We doubt there has been or will ever be a female artist with a more distinctive and enduring personal style than Frida Khalo. 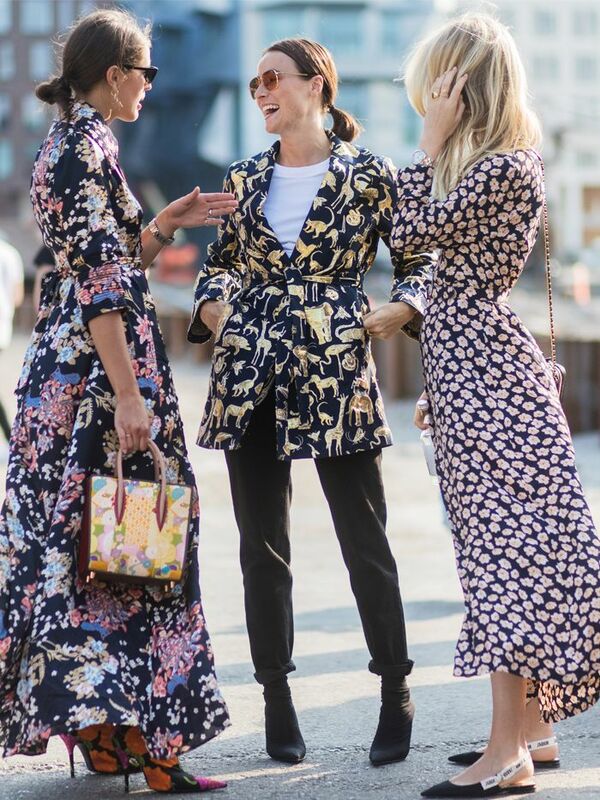 Her trademarks are instantly recognisable—the flowered headbands and plaits, floral blouses, unique jewellery and boldly patterned or embroidered dresses. So much so in fact, that the V&A has dedicated an entire exhibition to explore how this significant artist fashioned her identity. Frida Kahlo: Making Her Self Up (which will run until November 2018) is displaying Frida’s clothes and intimate possessions to offer a fresh perspective on her compelling (and stylish) life. Frida may have been born in 1907, but her eclectic style appears to be influencing fashion more than ever. Designer Roland Mouret dedicated his S/S 18 catwalk show to her, Beyoncé chose to dress as her for Halloween in 2017 and earlier this year, you could even transform yourself into Frida via a Snapchat filter. Whilst clothes played a huge part in shaping Frida’s identity, this lady had substance as well as style. Her stylish tailored suits, for example, challenged the norms of masculine and femininity at the time. Kahlo often crafted her looks to double as political statements, always keen to reference her identity and dual heritage. Frida’s cultural pride following the Mexican Revolution was apparent in her clothing—she often wore embroidered Tehuana dresses, which were originally worn by women from the South Mexican region. NB—these are the same embroidered styles you see trending on Instagram today, it’s just that many modern-day wearers aren’t in the know of where this style originates from. Her traditional clothing choices often had strong associations with or were influenced by powerful women. She saw her clothing as an extension of her art and as a way to tell stories. Think bold, clashing prints in vivid colours, rich silks, brocade, embroidered elements, square-neck tops and ruffle-hem details. Whilst these are all must-haves for this summer, a quick Google of Frida’s self-portraits will tell you she wore these first. She was a huge fan of colour, enjoyed shopping and even dabbled in design—making her own statement jewellery. Continue for 22 pieces that look mysteriously like Frida’s and see how some girls are wearing her look now. Slip Into Style’s Ellie channels a little Frida with her floral dress and elaborate jewellery. The colour-blocking and ruffles in Marta’s outfit are straight out of one of Frida’s self-portraits. Erica’s & Other Stories dress is strikingly similar to a dress the artist would have worn 100 years ago. The bold tile-like print and square neckline of this Dolce dress feel so Frida-esque. This dress has real boho flair. Frida loved blue—her beloved home in Mexico is painted this exact shade. Don’t be afraid to pair this beaded bag with an equally bold outfit. Just add a bucket bag and you’ll be ready for good weather. No Frida-inspired look is complete without statement earrings. We love this coin and pearl pair. This floral midi mixes the season hottest colours, red and pink. An easy but no less stylish way to accessorise your weekend look. We’ve never seen a more Frida-friendly dress. Update Frida’s famous flower crown for summer ’18 with this delicate lilac hair clip. Blue and bold = Frida to a tee. MGSM got our print clash memo. Eclectic earrings should be a staple of your style this year. It’s green, it’s ruffled, it’s Ganni—what’s not to like? This is the exact same dress Erica Davies snapped—it’s giving us want-to-book-a-holiday vibes. Frida loved her tailoring, so double points that this blazer is red and printed. We’ll race you to the checkout for this ruffled number. This dress is totally worthy of an outfit selfie. Swap your sneakers for these printed mules this weekend. Topshop, you’ve done it again. 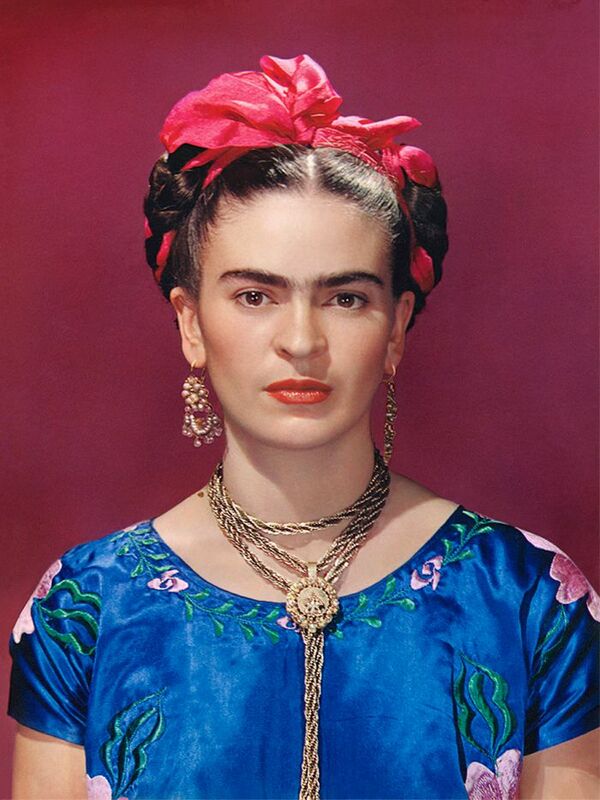 We think Frida would approve of the shell earring trend. Tradition and modernity in one dress. If you’ve been wanting to try more colour, now’s the time to go bold.